We’ve worked with our British growers to harvest over 1.6 million pumpkins for Asda customers. With the adoption of a ‘lo-fi’ growing method, we’ve ensured that the best-quality pumpkins are available for the scary season. K J CURSON GROWERS LTD protected their pumpkin crop by populating their fields with tried-and-tested scarecrows to ward-off wayward birds. 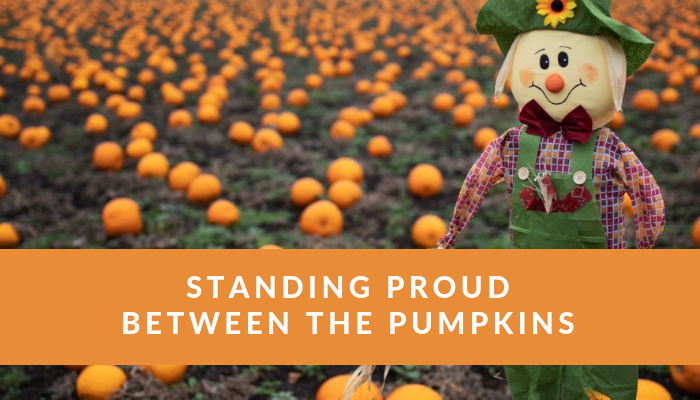 Standing proud between pumpkins, the scarecrows have helped to cultivate almost two million pumpkins, keeping the birds at bay throughout the five-month growing period. Pete Lawrie, Specialist – Buyer Edible Produce, comments: “In recent years, we’ve seen a huge increase in the demand for pumpkins as more households adopt Halloween as an annual tradition. Kevin Curson, K J CURSON GROWERS LTD comments: “To grow the best-quality pumpkins possible – especially when battling unpredictable weather – requires a human touch and often, very simple methods to ensure we’re able to protect crops from seed to store. Available in Asda stores now, our pumpkins come in two sizes; Medium (75P) and Large (£1.50).